Nontoxic drug delivery systems for efficient trans-membrane transport are central in the successful therapy of a number of diseases. Appropriate building blocks of reversible drug-carrying micelles are water-soluble surfactants, e.g. pentaethylene glycol monododecyl ether (C12E5). The present study aims to derive from first principles calculations and to test molecular mechanics parameters for such ethers to be used in subsequent all-atom simulations of micelle formation. Two monomers and one dimer with two different types of periphery, which are short-chain prototypes of the amphiphilic surfactant C12E5, are used as model systems. The geometry of low-energy conformers is obtained from conformational analysis with a modified OPLS force field and optimized at PBE and MP2 levels, with aug-cc-pVTZ basis sets in vacuum and in implicit solvent. 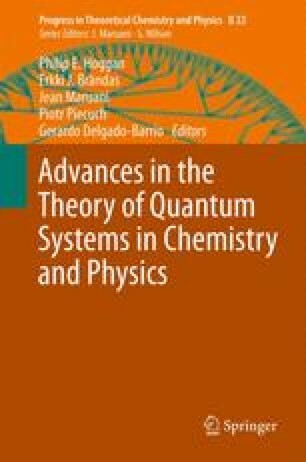 The quantum-chemical calculations provide detailed information on the structural flexibility of the surfactant models and can be used as reference for MD simulations. Weak dependence of the parameters sought on the length of the oligomers and higher sensitivity to the type of periphery is found. Validation of the derived molecular mechanics parameters is carried out through comparison of the density, molecular volume, enthalpy of solvation and vaporization obtained from molecular dynamics simulations (Amber99/NPT/300 K) of diethyl ether to the existing experimental data. The two theoretical approaches yield similar results both at molecular level and as secondary thermodynamic output. Moreover, the derived set of molecular mechanics parameters is consistent with experiment and can be used for extensive molecular dynamics simulations of larger CxEy surfactant assemblies. The research was supported by Project DO-02-256/2008 of the National Science Fund of Bulgaria with partial funding from Projects DCVP-02-2/2009, DO-02-52/2008 and DO-02-136/2008; the Alexander von Humboldt Foundation is acknowledged for an Equipment Grant. Supplementary Information Available online are: PBE and MP2 energy data (Table S1); MP2 torsion angles with conformer population in vacuum (Table S2) and in water (Table S3) for the monomers and analogous data for the dimer (Tables S4, S5); the PBE entries of Table 26.5 (Table S6); RESP charges (Table S7); MD trajectories of control parameters (Fig. S1); rotational barrier about Θ2 of the dimer in water (Fig. S2).